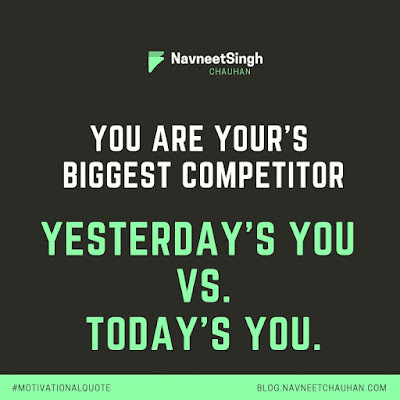 You are your's biggest competition. When you compete with yourself no one else can compete with you. You need to strive today to be better than yesterday. Small and steady everyday improvements help you learn, improve, grow and outshine. 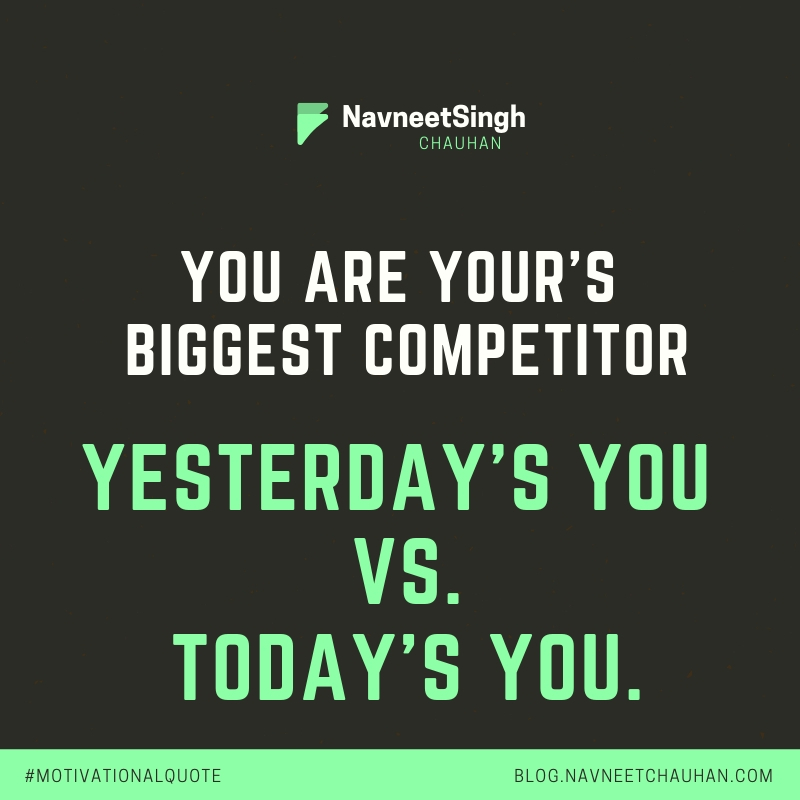 You know what you were yesterday, what you are today and where to improve upon. This reminds me of one of the popular brand ad campaigns by Bajaj in Hindi - Khud Se Hi Aage Har Kadam.